The title is humorous but clear, my last demo deals again with deferred shading. This time I made every effort to do things right: there is support for directional, point and spot lights and, much more important for performances, lights are rendered only inside their influence volumes using projective texturing. This means that while directional ones affect everything and have to be rendered as full screen quads, point lights are only rendered as cubes and spot lights as pyramids. 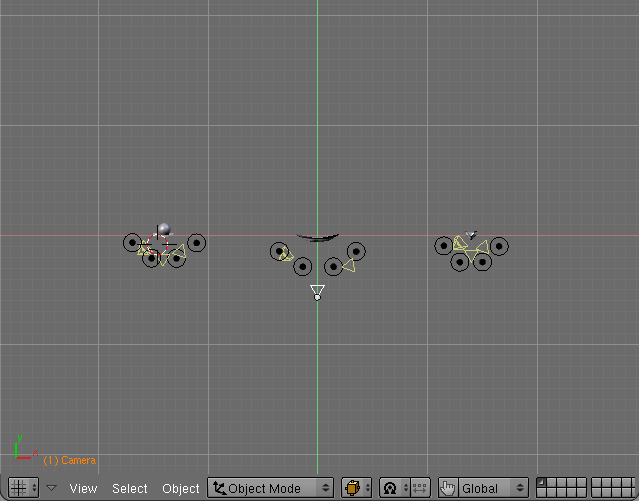 Rendering bounding shapes should barely affect performance, but makes the check for camera position a bit different. 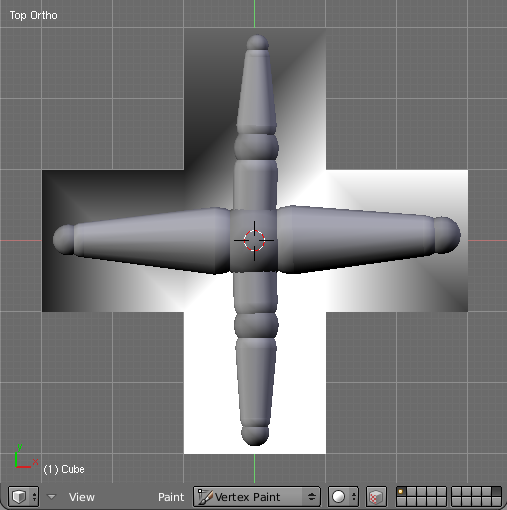 The check is disabled by default as it is sufficient to cull front faces and invert the depth test to avoid double lighting issue and benefit from some depth optimization. The demo is also a bigger attempt into effects integrations, it will serve as a test bed for a more organized and high level framework. 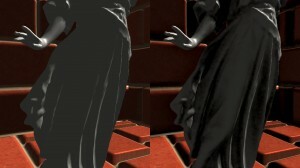 As a matter of fact it also features Screen Space Ambient Occlusion, Iterative Parallax Mapping and Depth of Field. 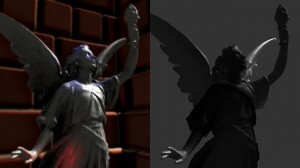 Very cool stuff, but I already have a list of things that I would like to implement sooner or later, like a Light Pre-Pass, a couple of advanced shadow mapping techniques, the integration of water rendering, HDR illumination and the reconstruction of position from depth. Note: I have had a hard time with glc, x264, mencoder and ffmpeg but still YouTube doesn’t accept my video together with the sound, at the moment I have uploaded a mute version. 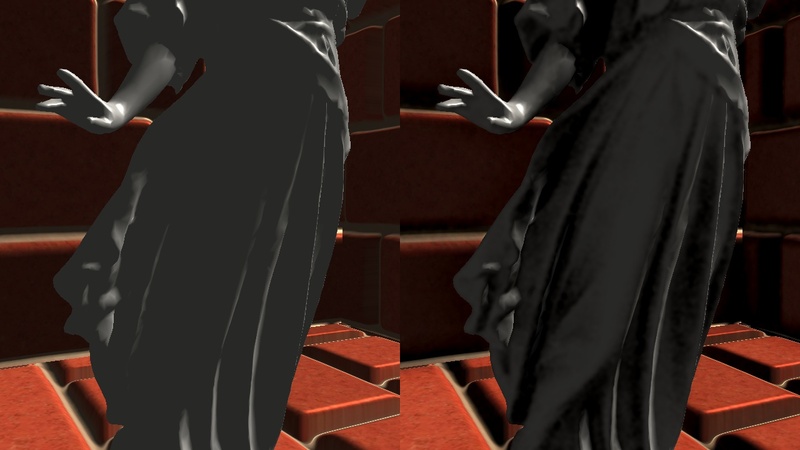 This entry was posted in Programming, Real-time Graphics and tagged C++, Deferred Shading, Depth of Field, DoF, GLSL, Iterative Parallax Mapping, OpenGL, post-processing, Screen Space Ambient Occlusion, shaders, SSAO on June 2, 2010 by encelo. This time I’m writing about something completely different, the recent developments of PacStats. PacStats is a 2007 project that was born as a toy experiment borrowing a lot of GL O.B.S. 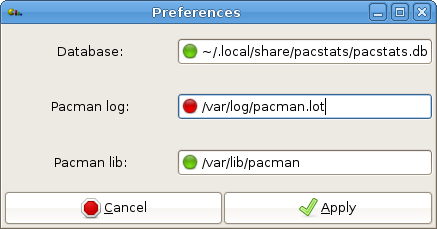 code: it is a program that analyzes the log of pacman, the ArchLinux package manager, and then plots a bunch of statistical charts about its activity. But what have been the main changes since 2007? Well, first of all I have renewed the code as already done for GL O.B.S., so the GUI is now based on GtkBuilder, Matplotlib imports NumPy and the Python print statements have been converted to functions. The program have also gained a toon shaded Blender made logo, and the possibility to be installed thanks to distutils through a very simple PKGBUILD that is already on AUR. While some tables of the database have been refactored, the parsers made more robust and the base/derived chart classes relationship more polished, the most important news for the end users are represented by the possibility to configure the program through the GUI or a text file, the addition of a database information window and a menu item to optimize it and the addition of a couple of new charts and a toolbar to control them. The original project have been hosted for a long time on my personal site, but the efforts spent to reboot it have suggested the possibility to have it published in a more “official” way: as a matter of facts you can find it on Google Code. I have been interested in this open source project hosting platform for a long time and until now I’m really satisfied by its streamlined yet flexible interface. I’m also very glad to have employed Mercurial for source revision control, after having been positively struck by the git experience and been advocating distributed systems for quite some time now, my decision to use it instead of Subversion feels very natural. Sure enough it is a really nice tool, easier to grasp than git but capable of most of the things of its famous contender, written in Python but yet not suffering too much when coming to performance. This entry was posted in ArchLinux, Programming and tagged ArchLinux, Mercurial, pacman, PyGTK, Python on April 12, 2010 by encelo. Computer generated water has always interested me, since the days of POVRay on Amiga I was trying to simulate it in some way. I began looking for existing implementations and I found Reimer’s XNA tutorial, a simple approach which I think could be optimized, but that already provides a nice looking water. Moreover having every pass clearly separated helps with debugging and makes the application capable of displaying them one at a time. The scene is rendered with parallax mapping enabled, and that is more evident than ever thanks to the new bricks textures, but with an altered shader that also performs user plane clipping, decisive for the first two passes. Talking about the Fresnel term I have implemented a naive (nothing more than a dot(V, N)) and a better approximation based on the Nvidia’s Fresnel reflection paper. In the source you will find both but only the first one is actually used, it works better in the scene used in this demo. You can easily see that waves are fake, the water is composed of just two triangles, the ripple animation is generated by the fragment shader altering texture coordinates based on a normal map and using a time variable. Of course you can have a look at videos on YouTube (GLSL_water, GLSL_water_HD) or Vimeo (GLSL_water, GLSL_water_HD) and download the sources. 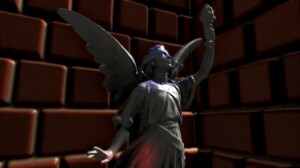 This entry was posted in Programming, Real-time Graphics and tagged C++, Fresnel, GLSL, OpenGL, reflection, refraction, shaders on November 2, 2009 by encelo. In January, during my internship activity, I was researching in the field of HDR imaging, today I had the time, at last, to polish a bit and release the two demos I made at the time. They both load an RGBE image (the two you see here are courtesy of the Paul Devebec’s Light Probe Image Gallery) through the library of Bruce Walter. While the third and fourth passes blurs the bright mask, the last one mixes it with the first FBO and sets exposure and gamma to achieve a bloom effect. This approach is far more complex than the previous one and is based on converting the scene to its luminance (defined as Y = 0.299*R + 0.587*G + 0.114*B) version, the mean and maximum value can be calculated using a particular downsampling shader and working in more passes, at each one rendering on an FBO with a smaller resolution than the previous until the last pass, when you render the luminance of the entire scene on a 1×1 FBO. As usual you can have a look at YouTube (GLSL_hdrload1, GLSL_hdrload2) or Vimeo (GLSL_hdrload1, GLSL_hdrload2) videos and download the sources. This entry was posted in Programming, Real-time Graphics and tagged C++, GLSL, HDR, High Dynamic Range, OpenGL, post-processing, shaders, snippets on October 14, 2009 by encelo. You’re reading about GL O.B.S. after *exactly* 730 days (I swear it was not made on purpose ;-)): today revision 50 has been committed. No new feature has been added, I’ve dedicated the efforts of the last days to a case study about updating an application after a very long time, the process mainly involved removing deprecated things and adding support for new ones. This feature is a way to get rid of the deprecated execfile() built-in function, instead of executing a python script to read a dictionary, the Benchmark class now parses a JSON file with the new integrated json module. This is another deprecation related issue, matplotlib is now based upon numpy. I’ve integrated more attributes in the XML GUI file, like default size for secondary windows or Paned positions. Moreover, thanks to GtkBuilder, even some objects have been integrated, like Adjustment or TextBuffer. I have also removed the deprecated Options class in some SCons scripts. This entry was posted in G.L.O.B.S., Programming and tagged PyGTK, Python on October 5, 2009 by encelo. So, for the second part that will be held next Wednesday, I’m planning to integrate the explanations about the internals of this demo. It was easy and fast to have a basic toon shader working, thanks to the Lighthouse 3D tutorial. This version uses a cascade of if-then-else instead of a more usual 1D texture lookup but, judging from the tests I have run, it’s not a performance issue, at least on GeForce 8 and newer cards. For the edge detecting I wanted to exploit the fragment shader capabilities, working in screen space with the sobel operator and thus being independent from geometric complexity. The only problem was about *what* to filter. The first test was straight, I filtered the rendered image, a grey version of the textured and lit MrFixit head, but the results were poor: edge detecting outlined toon lighting shades too. In the second one I decided to filter the depth buffer, I could get rid of colour to grey conversion but, again, the results were not satisfactory: there were no outlines in the model, just a contour all around. Maybe it could have been corrected with a per-model clip planes tuning, but I gave up. With the third test I filtered out the unilluminated color texture and the results were better. Unfortunately it relied on the presence of a texture and outlined too much details. I think the fourth approach, as seen in this demo, is the best one. 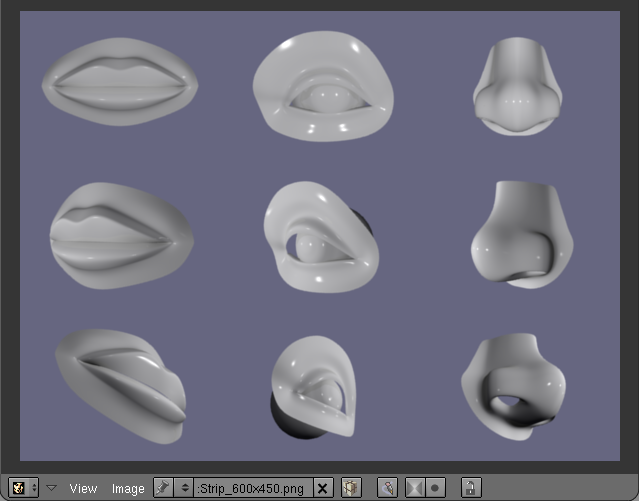 I used MRTs to save the eye-space normal buffer during the toon shader pass, then I filtered a grey version of it, outlining the contour plus some other geometric details. A small note: saving an already grey converted buffer in the toon shader pass speeds up the demo a bit, but storing the normal in a single 8 bits component of the texture causes a loss of precision that leads to some visible artefacts. Using a floating point texture helps with the precision issue but makes the demo too slow. As usual you can have a look at YouTube or Vimeo videos and download the sources. 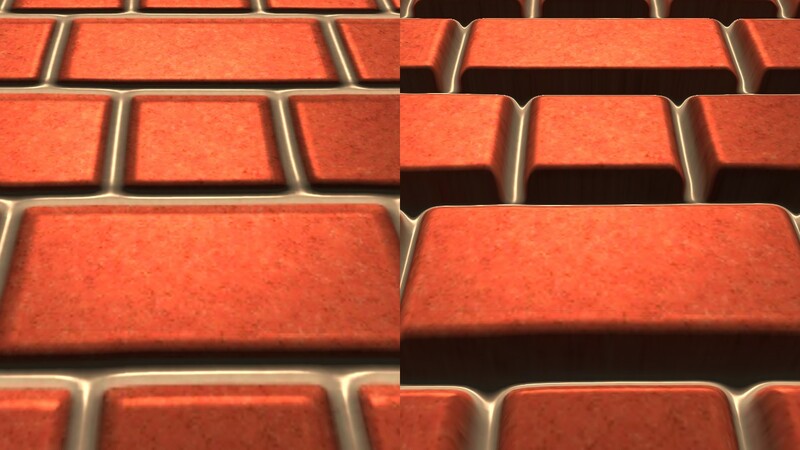 This entry was posted in Programming, Real-time Graphics and tagged C++, GLSL, OpenGL, post-processing, shaders, Toon shading on April 26, 2009 by encelo. If you have read my LinkedIn profile lately you should already know that, by now, some months have passed since I started my pre-graduation internship activity at Raylight (and since I signed my first NDA 😉 ). Some days ago a 3d artist of the team, Alessandro, asked me a script that would have helped him using Blender for one more task along the company asset creation pipeline, weight painting. 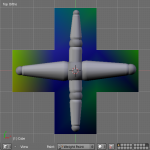 He needed a simple script to actually convert vertex weights to per-bone vertex colors layers, in order to bake them to per-bone UV maps and later import them inside 3d Studio Max. At first I didn’t even know where to start, how to extract and match per-vertex weight data with per-face vertex color one, but my second try with it went as smoothly as honey. 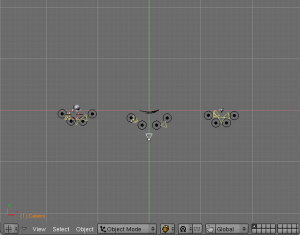 This entry was posted in 3d Graphics, Programming and tagged Blender, Python, snippets on April 19, 2009 by encelo. I, like everyone else, was really disappointed, the Architecture Review Board was not only really late on schedule but it didn’t keep its word about many key features that should have been introduced with this release. Nevertheless I’m still confident in the future, when older API functions will be removed and not simply, as in the current version, tagged as deprecated. 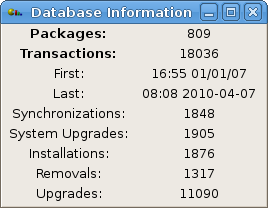 Now, after the long but needed introduction, let’s talk about things that matter: today the ArchLinux team moved the new stable 180.22 driver release from the [testing] to the [extra] repository. Well, apart from the equally important CUDA 2.1 and VDPAU support, this release has been bundled with OpenGL 3 and GLSL 1.30 support, so have a look at how to create an OpenGL 3.0 context. First of all, it seems like there’s no other way to open the new context without getting your hands dirty, that is talking directly with GLX. What follows is a snippet to create an OpenGL 3.0 context integrated in SDL 1.2, which still doesn’t support it natively. First of all you need some new defines. You need also to retrieve the address of the following new GLX function. Then you have to define a bunch of GLX related variables. At last, after having called SDL_SetVideoMode(), create a new context, make it current and destroy the old one. If you want to retrieve also the extension list, a new function can help you simplify the process. This entry was posted in Programming, Real-time Graphics and tagged GLX, Nvidia, OpenGL, OpenGL3, snippets on January 16, 2009 by encelo. Last night I was thinking of a way to automates the process and today it becomes reality in the form of a Blender Python script: it is capable of producing an image which is composed of multiple rendered frames, think of a daily comic strip and you understand the name ;). The user can select which frames to render specifying a string similar to the following one: “1-3, 5, 7, 9-11“. Moreover it is possible, of course, to choose the size of a single frame and the composed image table dimensions, i.e. how many rows and columns it should have. This second script is a bit more complex than my first one, making use of the Registry module to load and save options and the Draw.PupBlock() method to display a bigger GUI. Of course it is released under the GNU GPL License and available online, download it from here. 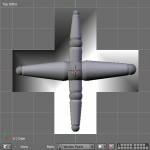 This entry was posted in 3d Graphics, Programming and tagged Blender, Python on January 6, 2009 by encelo. Today I have published the first demo making use of my new C++ class library, I designed it to be very easily ported to a strict GL3 profile or to ES 2.0. As usual, you can have a look to Vimeo videos (640×480, 1280×720) and download the sources. 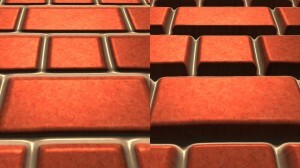 This entry was posted in Programming, Real-time Graphics and tagged C++, Depth of Field, DoF, GLSL, OpenGL, Parallax Mapping, post-processing, shaders on November 10, 2008 by encelo.